The year following the discovery, Barbour put forward his first theory. The fibrous material of the screws provided him the first clue, while the ancient geological history of the surrounding, where these screws were found, provided him the second. Barbour decided that Daemonelix must be the roots of a giant freshwater sponge that thrived in immense freshwater lakes that once supposed to have covered this region. For a while, the theory held sway but one thing that confounded the scientific community at the time was the presence of rodent bones inside the corkscrews. Further research also revealed that the rocks surrounding the Daemonelix fossils had more in common with semiarid grassland rather than with lakes, prompting Barbour to suggest that the spirals were a new type of giant plants instead. But it was the rodent bones that finally undid the fossil plant theory. In 1893, Edward Drinker Cope and Theodor Fuchs independently proposed that the Daimonelix were the remnants of ancient spiral burrows that filled up with sand and silt. The bones found within the corkscrews belonged to the rodents who dug them and became entombed within. But Barbour wasn’t going to give up on his fossil plant theory just as yet. He argued that the form of the corkscrew was too perfect to have been constructed by a 'reasoning creature'. The dispute ended with the discovery of scratch marks on the inside of the spirals indicating that an animals had clawed them out of moist soil. 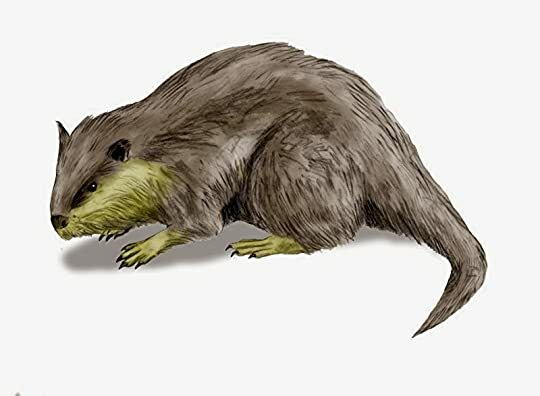 In 1905, the animals responsible for the creation of the corkscrews were identified as the now extinct genus of beavers named the Palaeocastor that lived in the North American Badlands some 22 million years ago. 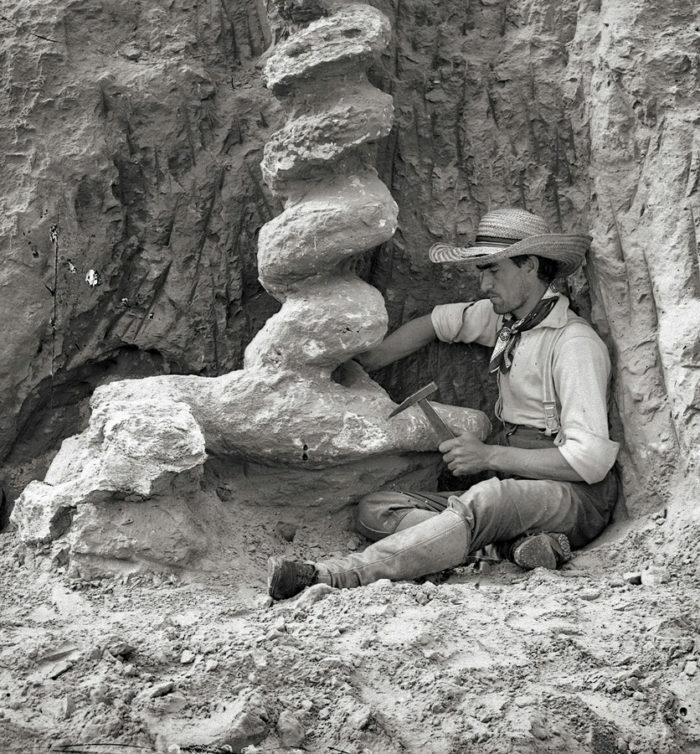 Nuroanatomist Frederick C. Kenyon stands next to a Daemonelix burrow, discovered in the late 19th century at Agate Fossil Beds National Monument. His first idea was that the bizarre structure was the remains of an ancient freshwater sponge. He called it Daemonelix, or "Demon's Corkscrew."